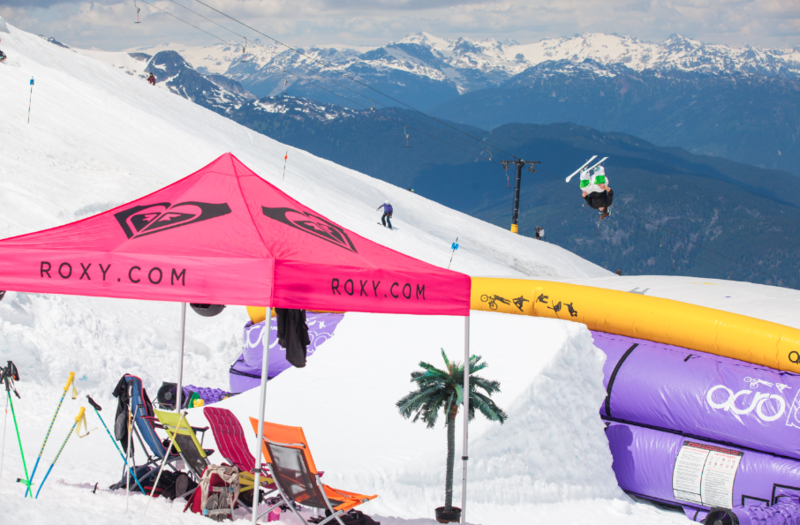 Summer 2015 has begun in Whistler, BC! 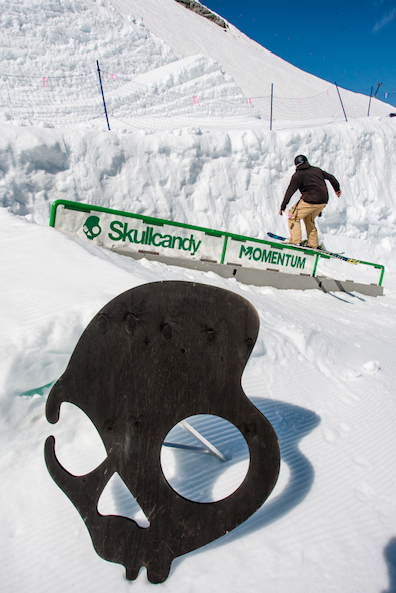 The kick-off to this summer was exciting as ever, as we were beyond stoked to unveil what is without a doubt the best park we’ve ever created. 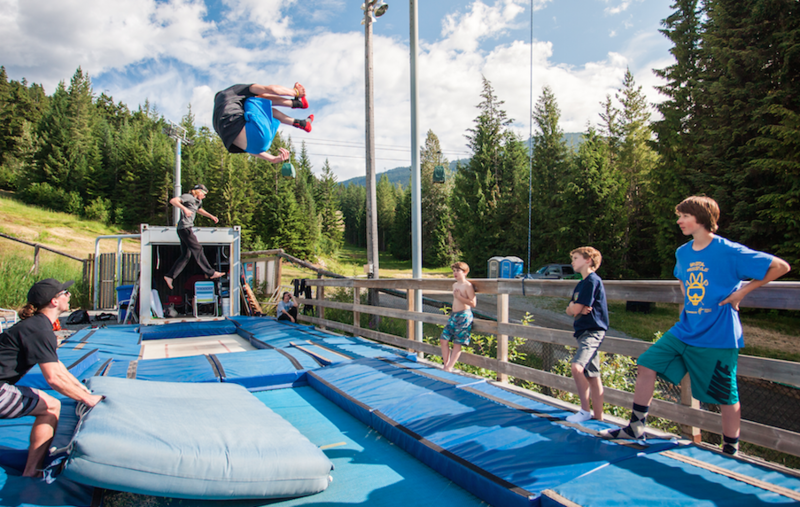 With new rails, new flow, the most mogul lines we’ve ever had, and a perfect 70-foot jump, the campers and coaches were stoked to get back on skis and explore our new park. 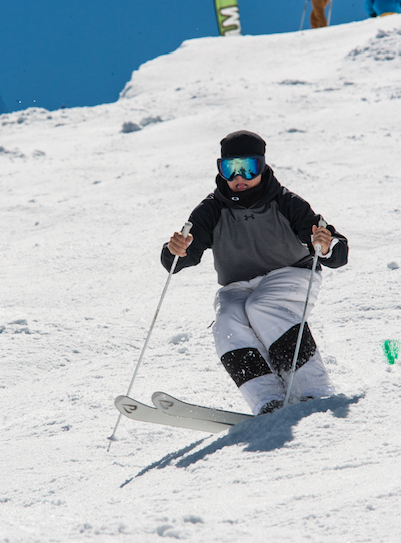 Throughout the week we were graced with beautiful, sunny days, making for an all-time kick-off week during our session 1 Family Week – which mixes both youth and adult skiers in their moguls and freeride groups! Top view of the lower section of our 2015 park. 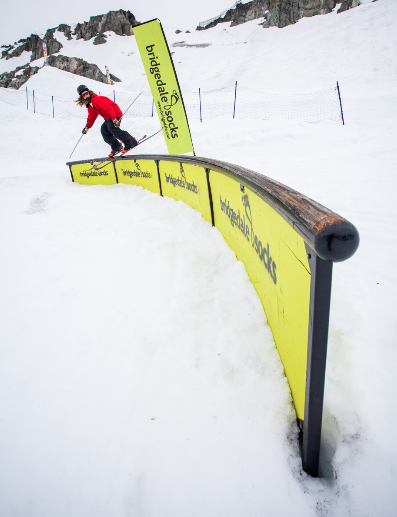 The new airbag location frees up more room for rails! 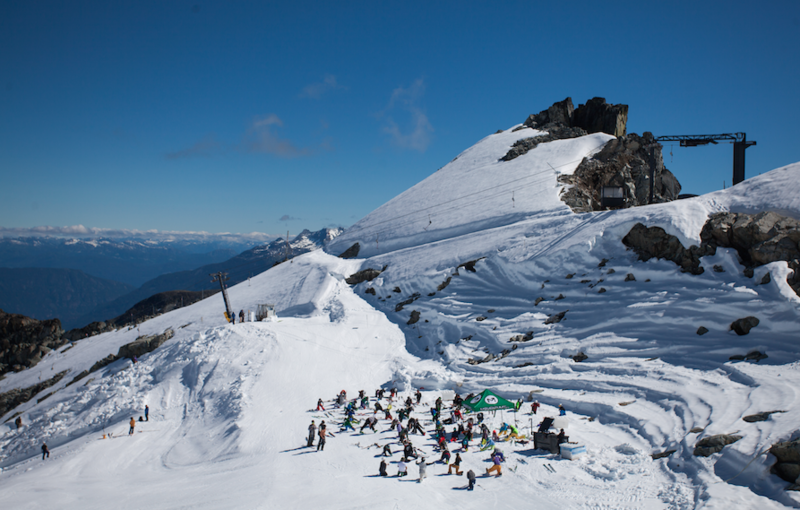 The crew of coaches for session 1 was once again a stacked lineup of some of the best pros in the world, consisting of: Justin Dorey, TJ Schiller, Corey Vanular, Matt Margetts, and Austin Ross on the freeride side, with Eddie Hicks, Tami Bradley, Ken Rhodes, Heidi Kloser, Tanya Callon, Kristi Richards, and Clay Renwick coaching the mogul side. 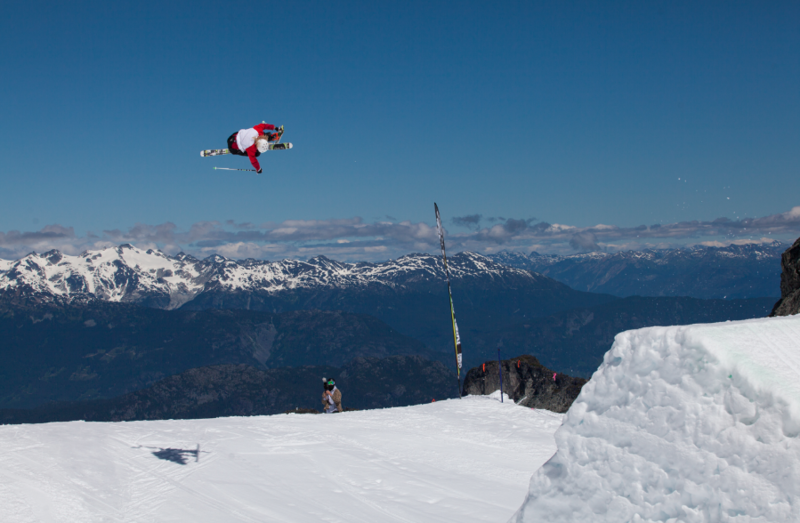 Olympic silver medallist and overall World Cup champion Mikael Kingsbury ripping one of our 12 bump lines! 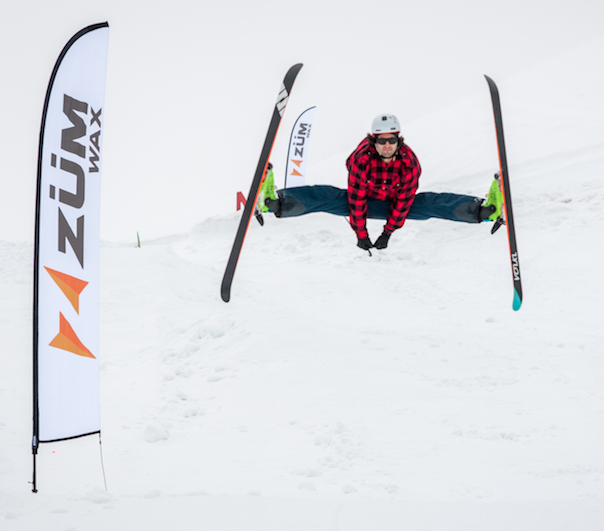 Stretching on top of the world! 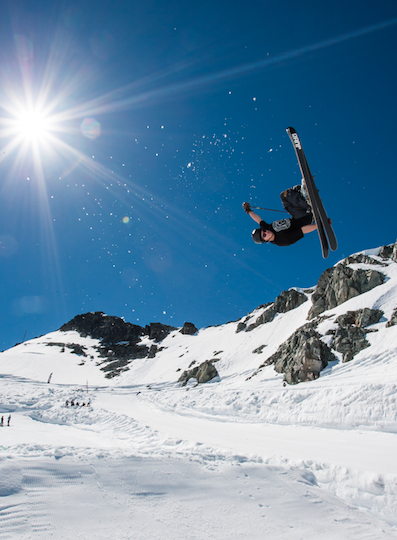 Sponsor Me Contest winner Mark Draper took full advantage of his free session, skiing so hard every single day. 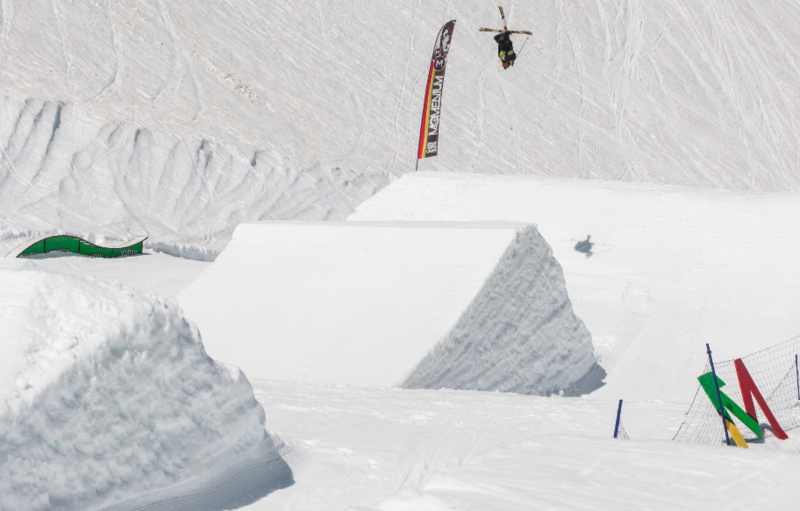 Edit coming soon! 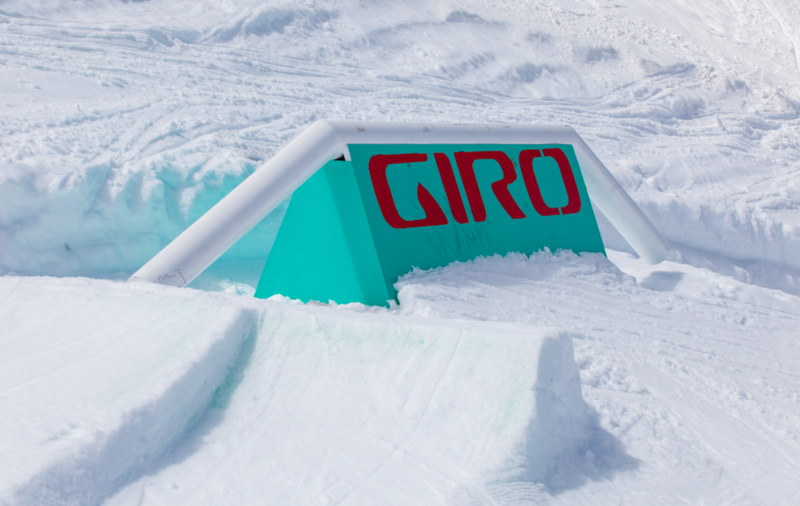 The new Giro trap rail. Lots of options on this feature! Coach Austin Ross getting flexible! Our two airbags – one for single flips, one for doubles, are the perfect learning tools for getting upside down! 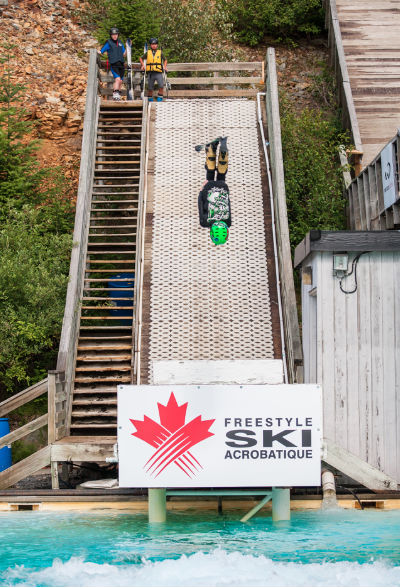 Ramping at the Whistler Water Ramps! 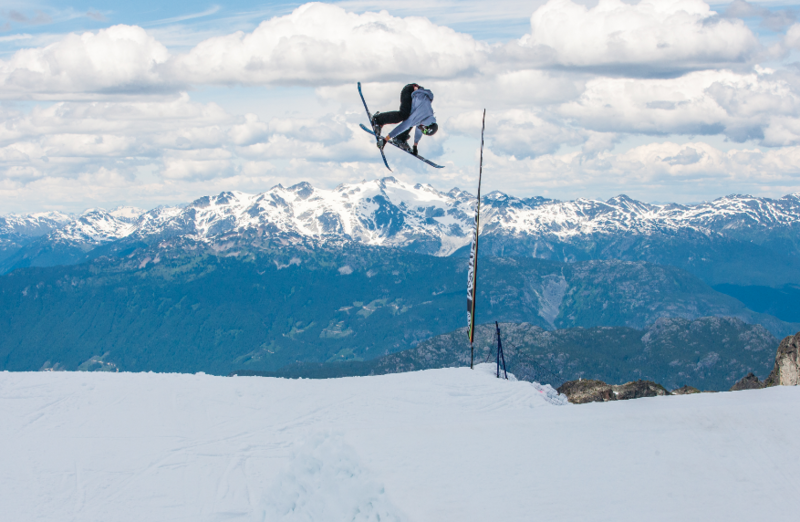 Once the days ends on snow, the skiing doesn’t have to stop. 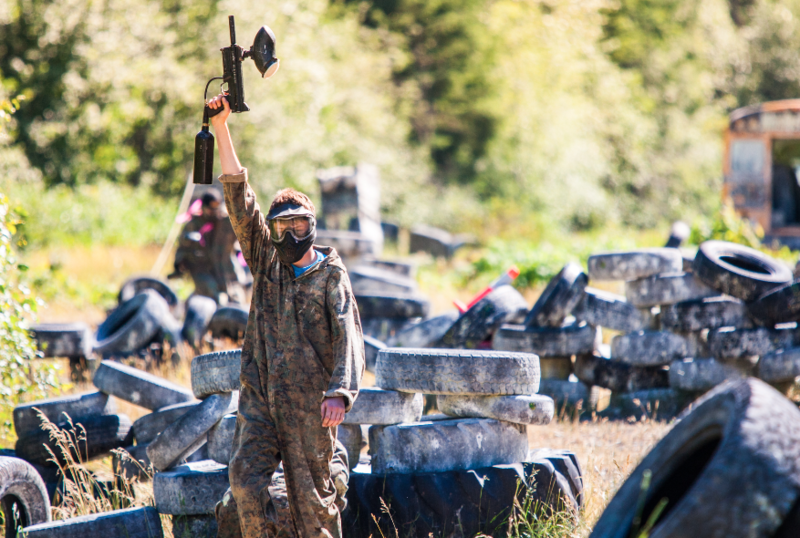 Among the many daily activities, paintball is always a good way to spend your afternoon! 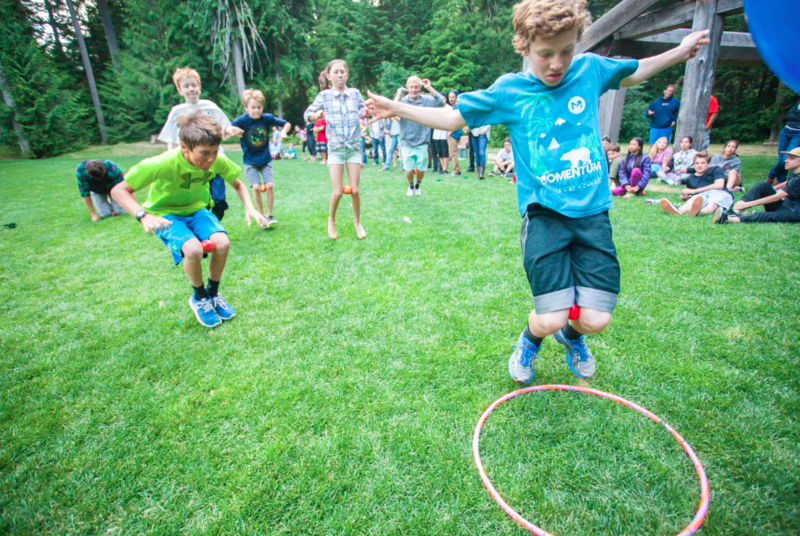 Campers competing to win prizes at the end of session party! The big winner! 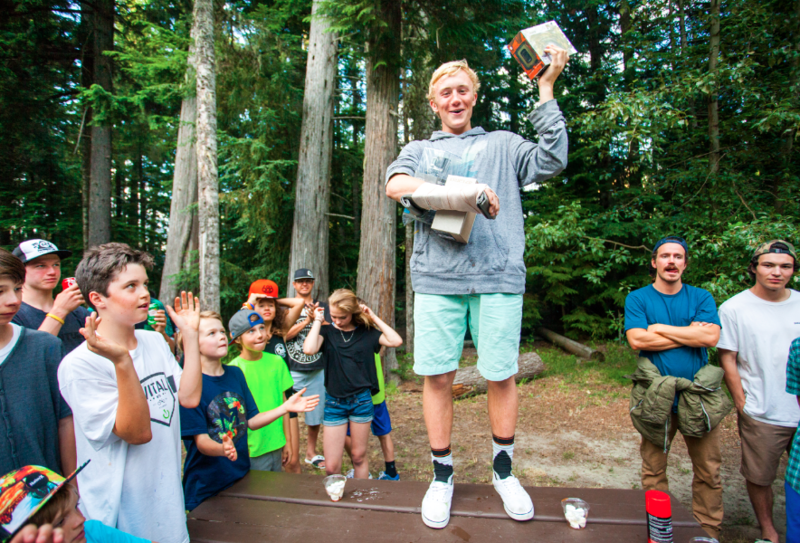 Who wouldn’t be stoked to win a GoPro Hero 4 Silver , Giro Blok Goggles, and a Skullcandy Air Raid speaker! Session 1 is in the books! 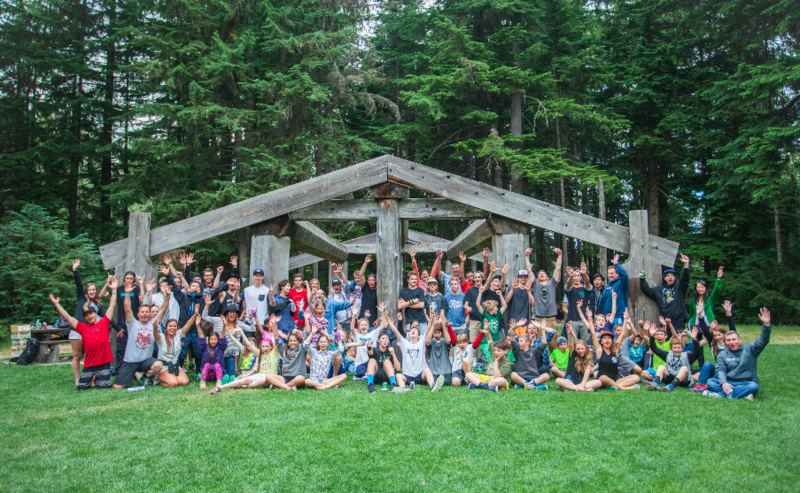 Huge thanks to our sponsors: Giro, GoPro, Skullcandy, The North Face, Zum Wax, Roxy, Armada, Bridgedale, Discrete, Clif Bar, IDone, KINeSYS, Dakine, Lululemon!